A pattern specially designed for light trucks, it provides excellent performance on wet roads and outstanding high load performance with excellent wear resistance. 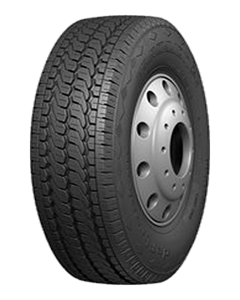 Optimized pattern design with excellent tread compound provides great high load performance. The wide tread pattern offers greater surface contanct and traveling stability. Deeper pattern grooves and unique tread compound ensure excellent wear resistance. Three longitudinal main grooves provide excellent drainage and outstanding performance on wet roads.